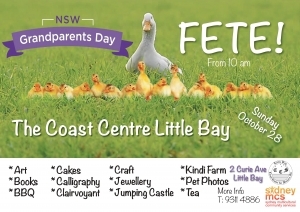 Coast Centre for Seniors brings you our much anticipated annual fete day, with art, books, BBQ, cakes calligraphy, clairvoyant, craft, jewellery, jumping castle, kindi Farm, Pet Photo comp, plants and much much more! All in honour of NSW Grandparent Day and the month long celebrations we invite you and your family to enjoy our Grandparents Day Fete on Sunday 28th October from 10am. For more information call the Coast Centre for Seniors on 93114886. 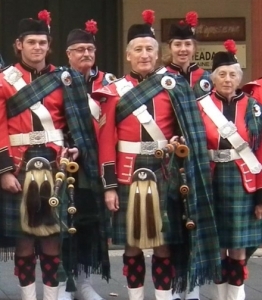 Mayor Kathy Neilson will open the fete and the Clan MacLeod will pipe in the days events. We’ve got lots of entertainment for everyone and we look forward to celebrating with you and your families. 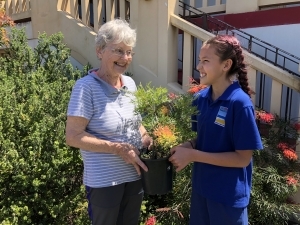 Shirley Harding talks plants with La Perouse Public School Captain, Piper as we are supporting their native garden planting. We’ve also interviewed some of our members about being a Grandparent. Take a look here at some of their reflections. Robina Beard is one of the members and teachers at Coast Centre for Seniors and loves being a Grandmother. Shirley and John Agnew members of Coast Centre for Seniors are bringing their granddaughter Zoe along on excursions organised by the centre. When we caught up with Shirley and John, they were booking in for the trip to Watsons Bay coming up soon and planning a place for their granddaughter to accompany them. We chatted with Shirley and John about being involved at Coast Centre, what it’s like being a Grandparent and even discovered how these two met! Two long term and very avid members of CCfS, John Agnew regularly takes the watercolour class with Harry Stanley in the community centre. Little Bay residents may recall the Taste of Italy art competition at Piccola Baia – well, John’s water colour classmate won second place. 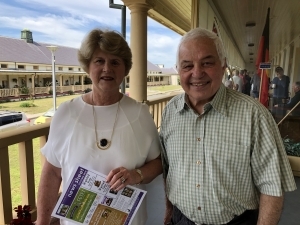 John was born in Cairo to Greek parents who were living as expats working as Electicians before they immigrated to Australia in 1959 while Shirley is a descendent of the first fleet. She grew up with her parents in Kogoarah Bay. Shirley was working for NSW Dept of Health in the city and John was a musician in the Colonnades Restaurant in the Strand Arcade when they first met. “My friend at work introduced us and told me John was good boy,” recalls Shirley, fondly. 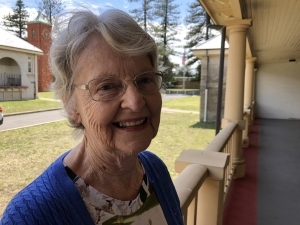 Shirley Harding – lives in Pagewood and is a member of Coast centre for Seniors and especially enjoys the Table Tennis at the centre. “I have five generations in our family, my mother Bridget is 97 and is a great great grandmother. I am 78 and a great grandmother – 2 Grandchildren and 4 Great Grandchildren. So celebrating Grandparents day is very big,” says Shirley. “Being a Grandparent is everything. I live in a granny flat behind my grandchildren’s home so I get to see them everyday. I see the youngest ones mostly! They come in to borrow everything from toothpaste to toilet paper and dessert every couple of nights!” Shirley laughs as she retells her Grandparent stories.